Dr. Fuller’s varied experiences conducting research, treating patients, training professionals, and working with the public have given him insights into cognition, emotion, and behavior, enhancing his understanding of the human condition. He is currently the Director of Research of the Albert Ellis Institute and a Clinical Research Associate at St. John’s University. 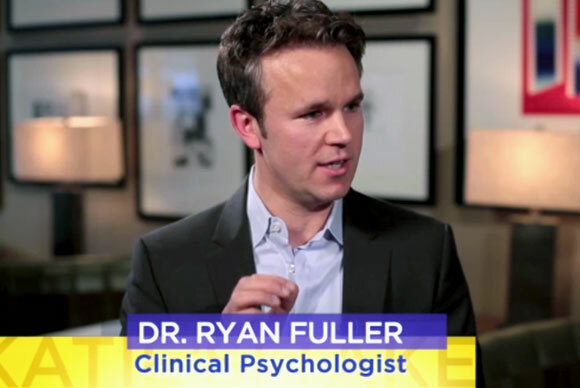 J. Ryan Fuller, Ph.D. is a New York licensed clinical psychologist. He has given scientific presentations in the US, Canada, Russia, and India on a variety of topics including Aggression in the Schools, Scientific Methodology, Life Satisfaction, and Anger Management. He has published in peer reviewed journals, as well as in other media, on the role of therapy in the workplace, Positive Psychology, Anger Management, Coping Skills after Gastric Bypass Surgery, Loneliness in Obesity, and The Role of Interpersonal Relationships in Happiness. Dr. Fuller has given professional trainings for federally funded programs such as C.O.R.E. and Look AHEAD to medical professionals and patients on such topics as Cognitive-Behavioral Interventions for Obesity Management in a Primary Care Practice; Cognitive Behavior Therapy (CBT), Rational Emotive Behavior Therapy (REBT), Motivational Interviewing, Relaxation Techniques, and Social Support for Lifestyle Change in Patients with Diabetes and other Chronic Health Conditions; and Overcoming Overeating. He has also provided professional training to mental health clinicians in the areas of Rational Emotive Behavior Therapy, Anger Management, Addictions, and Couples Therapy. Dr. Fuller has conducted workshops and given lectures to the public in areas as diverse as Dating in the 21st Century: Real Life and Internet Dating, Coping with Unemployment, Dealing with Clutter, and Time Management. As an expert in the field he serves as an Editorial Board Member for the Journal of Rational Emotive Cognitive Behavior Therapy and as an Ad Hoc Journal Reviewer for Health Psychology, Journal of Behavioural and Cognitive Psychotherapy, and Psychological Reports. He has held various clinical and research positions, including, the Director of Research at the Albert Ellis Institute, Director of Behavior for the Obesity Research Center’s Weight Loss Program housed in Columbia’s Department of Medicine at St. Luke’s-Roosevelt Hospital, and a Clinical Research Associate at St. John’s University. He is currently the Clinical Director of New York Behavioral Health. Dr. Fuller’s varied experiences conducting research, treating patients, training professionals, and working with the public have given him insights into cognition, emotion, and behavior, enhancing his understanding of the human condition. Dr. Fuller seeks to reduce the intensity and frequency of client’s emotional pain and suffering and self-defeating behaviors. He also helps clients cultivate skills to achieve their goals and life satisfaction, with a strong emphasis on cognitive-behavioral theory (CBT) and techniques. He uses these and other techniques specifically suited to the individual. This approach helps clients efficiently overcome current problems, whether they are critical (acute) or long-standing (chronic) issues. Scientifically based methods are emphasized and when empirically supported treatments do not exist, clinical judgment and reliance on theory is used to provide clients with customized and comprehensive treatment of his or her specific conditions. He focuses on the present, while helping clients to understand how historical events and relationships may still be influencing their thoughts, behaviors, and feelings today. Active methods of coping with the here-and-now are emphasized. Clients quickly learn cognitive and behavioral skills that allow them to deal more effectively with their life circumstances. Cognitive Behavior Therapy (CBT) can be applied to many kinds of problems and can operate within different value systems. If you have a specific concern or issue, please do not hesitate to contact him by phone or email. He will be happy to speak with you about your unique issue. Fuller, J.R. (2014). Anger Management. In Translating Psychological Research into Practice. Springer Publishing. Fives, C. J., Kong, G., Fuller, J. R., DiGiuseppe, R. (2010). Aggression, anger, and irrational beliefs in adolescents. Cognitive Therapy & Research. Cognitions, Interpersonal Relations, and Life Satisfaction in Outpatients. Fuller, J.R., Hickey, M., Levine, & Kong, G.
Fuller, J.R.. (November, 2005). Cognitive-Behavioral Group Psychotherapy for Anger. Paper presented as part of a symposium on The Clinical Face of Anger: Clinical Presentation, Comorbidity, and Treatment at the annual meeting of the Association for Advancement of Behavior Therapy, Washington, D.C..
DiGiuseppe, R., Ahmed, A.G., & Fuller, J.R. (November, 2005). Anger Symptoms of Clinic-referred Outpatients and a Community Sample. Paper presented as part of a symposium on The Clinical Face of Anger: Clinical Presentation, Comorbidity, and Treatment at the annual meeting of the Association for Advancement of Behavior Therapy, Washington, D.C..
Fuller, J.R., Ahmed, A.G, DiGiuseppe, R., McDermut, W., & Zimmerman, M.. (November, 2005). Axis I Comorbidity of Outpatients with Anger Symptoms. Paper presented as part of a symposium on The Clinical Face of Anger: Clinical Presentation, Comorbidity, and Treatment at the annual meeting of the Association for Advancement of Behavior Therapy, Washington, D.C..
McDermut, W., & Fuller, J.R.. (November, 2005). Axis II Comorbidity of Outpatients with Anger Symptoms. Paper presented as part of a symposium on The Clinical Face of Anger: Clinical Presentation, Comorbidity, and Treatment at the annual meeting of the Association for Advancement of Behavior Therapy, Washington, D.C..
Fuller, J.R. (November, 2004). REBT Group Homework. Paper to be presented as part of a symposium on Rational Emotive Behavior Therapy (REBT) Group Psychotherapy: What Do We Know and Where Are We Going? at the annual meeting of the Association for Advancement of Behavior Therapy, New Orleans, LA. Fuller, J.R. (January, 1999) Conceptualizing Anger: Constructs, Manifestations, and Treatment. Invited lecture given for the Golden Jubilee Year, University of Poona, Pune, India. Roosevelt Hospital, Look AHEAD (NIH Funded): Overcoming Overeating: March 1st, 2008. Dating in the 21st Century: Communication, Cognitive Restructuring, and Self-talk in an Age of Speed and Internet Dating: September 14, 2006. Center for Obesity Research and Education (C.O.R.E. ): Cognitive-Behavioral Interventions for Obesity Management in a Primary Care Practice. Roosevelt Hospital, Look AHEAD (NIH Funded): CBT, REBT, Motivational Interviewing, Relaxation Techniques, and Social Support for Lifestyle Change in Patients with Diabetes and other Chronic Health Conditions: September 25th, 2006. Multidisciplinary Treatment of Obesity Professionals. Efficacy of Psychotherapy for Anger Presenting Outpatients, October, 2007 (Clinical Seminar). House Broken (2007). Principal in NBC/Universal Studios Pilot Television Show. Babycenter Magazine (2006). Interviewed regarding REBT techniques to reduce stress during pregnancy. of maladaptive emotions when caring for medical patients.